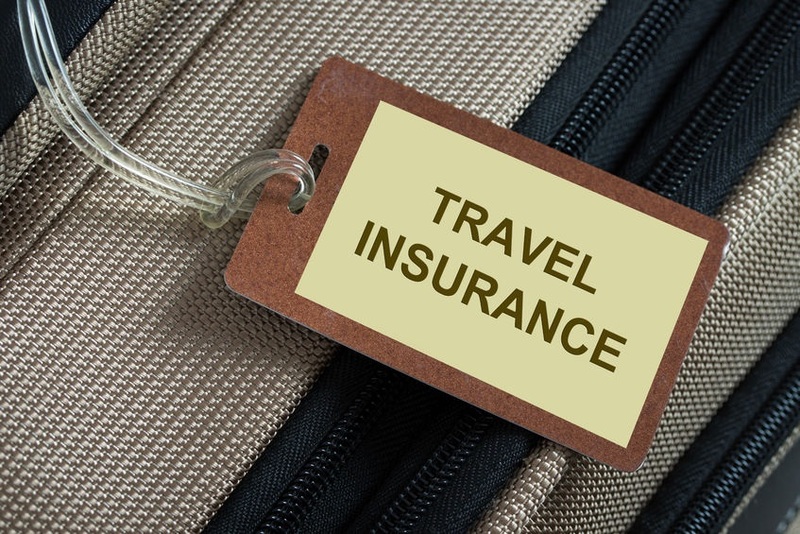 While buying travel medical insurance is a must for every Canadian snowbird, shopping for the right policy can be a time consuming and frustrating task. With dozens of options available, it’s hard to know if you’re getting the right coverage at the best possible price. To further complicate matters, it seems that everybody is getting in on the act of selling snowbird travel medical insurance these days, including travel agents, associations and even financial planners. You can spend hours, days and even weeks online and on the phone comparing insurance offerings and answering a lot of questions from different insurance companies. However, you can save a lot of time and money by having an insurance broker do the work for you. Insurance brokers are independent from insurance companies and can offer you policies from multiple insurance providers, allowing them to compare options and find the best one to suit your needs based on terms, price, age, health, lifestyle, trip duration and other factors. When choosing a broker, be sure to ask if they have expertise in snowbird travel insurance and how many insurance companies they work with – some may only offer policies from 2 or 3 insurers, while others may deal with 10 insurance companies or more, giving you access to more options. When it comes to compensation, brokers earn a commission regardless of which insurance company’s policy you buy, making them highly motivated to find you the best policy to meet your needs, as happy clients are repeat clients (not to mention a good source of referrals). Because your interests are aligned, this usually creates a win-win situation for you and your broker. Agents who work for an insurance company, on the other hand, are limited to only offering policies from that company. That’s a big distinction! On the compensation side, agents who represent a single insurance company only earn a commission if you buy a policy from their insurance company, making them highly motivated to convince you that the policy their company offers is the best one for you, even if there are better and less expensive options out there. So their interests are often not aligned with yours. Using a broker is also a big time saver, as it allows you to avoid having to contact 10 or more agents individually to learn about their travel insurance policies. The only time it really makes sense to contact an insurance company directly is if they offer a travel insurance policy your broker doesn’t have access to (for example, because you are a member of a club, association or alumni group that offers out of country travel medical insurance as a membership benefit) and you have reason to believe the policy they are offering has specific benefits for snowbirds. Even if you belong to a club or association that offers you preferred rates on travel insurance or receive a quote from an insurance company your broker doesn’t work with, we still recommend contacting a broker so you can compare their best recommendations against the other quotes you receive. Snowbird travel insurance is a highly specialized type of travel medical insurance that requires extensive knowledge and expertise when comparing options and choosing the right coverage at the best price. Not all travel insurance agents and brokers have the expertise to properly compare and recommend policies for snowbirds, as they tend to focus on basic policies where age, trip duration and pre-existing medical conditions aren’t a factor. For this reason, we highly recommend you use a broker or agent who specializes in snowbird travel insurance and can spot specific pitfalls and opportunities. They’ll be in the best position to lay out all of your options for you and help you find the best policy at the best price based on your specific needs. If you use a non-specialist, you run a higher risk of encountering a disaster if you ever experience a medical emergency or have to make a claim. You also run the risk of getting inadequate coverage or missing out on opportunities to save on premiums that only a specialist would know about. Experience & Expertise: An experienced broker or insurance agent can spot potential issues and opportunities that you won’t find when buying online, such as guidance on answering travel insurance medical questionnaires and different coverage options based on your medical history, trip duration and other factors. They’ll also be able to give you better insight into which policies you should consider and why. More Policy Options: Although receiving quotes and buying travel insurance online may be convenient for some, it’s hardly ever your best option for snowbird travel insurance. Unless you’re under 55, don’t have any pre-existing medical conditions and are only travelling for a week or two, you’ll be very limited in the types of policies you can access online. Speaking to a broker or agent directly, however, will usually give you access to a variety of additional policies and options. Better Prices: Because brokers often have access to policy options that you won’t find online, it’s common for them to be able to offer you lower premiums. Some brokers and agents can offer you additional discounts on your premiums that you won’t find online, such as Loyalty Discounts for purchasing from the same company for multiple years, Claim Free discounts for not making claims in previous years and Early Booking discounts for purchasing early in the year, as well as multiple policy discounts for placing your home and auto insurance with them. Be sure to ask about these discounts when you speak to a broker or agent, but be aware that even with these savings, you’re not always getting the best price. Don’t be complacent by simply renewing the travel medical insurance you purchased the previous year. Snowbird travel insurance products are constantly evolving and so are your circumstances. New and better products come on the market all the time and policies that may have worked for you in the past may no longer be your best option if your needs have changed. One of the biggest mistakes Canadian snowbirds make is opting for the least expensive travel insurance option, regardless of coverage deficiencies. This doesn’t mean you should go out and buy the most expensive policy with the most extensive coverage, as you may not need it based on your circumstances. What you should do is make sure you have sufficient coverage based on your unique needs. Price is important, but it shouldn’t be the most important factor. Finding the right coverage for your unique circumstances is paramount, price comes second. Remember, saving a little money on premiums is useless if you ever have to make a claim only to find out you don’t have sufficient coverage, which means you’ll be on the hook for your medical expenses, often leading to severe financial hardship. It is absolutely essential to fully declare your complete medical history and all the medications you take before getting your quote. Omitting any detail, however small, will give the insurer a reason not to cover you when you make a claim.